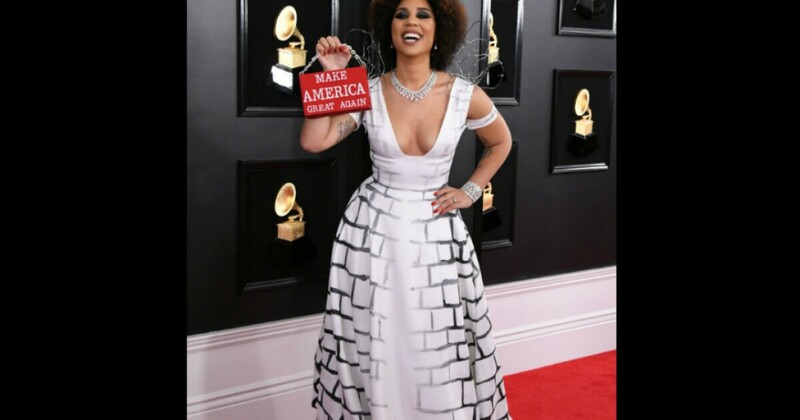 What do you think about JoyVilla‘s controversial dress? Everyone is entitled to their opinion. Idk who the hell she is as an artist though 😂 Apparently she’s done it more than once, but no one ever notices lol. Ask again tomorrow when everyone forgets about her (again). Absolutely no one knows who she is so she had to get her 5 min of fame with that atrocious outfit. Thats what I think about it. I’m a citizen and I think it was in very poor taste! Freedom of speech. Don’t see anything wrong with it. Never heard of her, but now I will know of her as the lady who couldn’t care less what everyone else thinks. I’ll say it again, don’t care what side you’re on… you are here to entertain us we don’t care what your political views are! I heard she held a farewell party for her career afterwards, DOA. Not the best looking dress there, (not the worst by far though.) It took courage to do it. But as I do with all celebrities,mostly making left leaning statements, I think these statements only alienate about half the fan base. Even so, BUILD THE WALL! I hide crap like this….